Noa and Raf found a way to enter the Wetlands. They left the safety of The Territory behind to find Noa's best friend Jack. Their mission was a success and now they are all together again, but they didn't come out unscathed. They're hurt physically and emotionally and they still have a long way to go. To right the wrongs of the government they need a plan, but to execute this, they have to find their way back into The Territory. Leaving was already difficult, but gaining entry is going to be even harder. Will they find a way and what will happen once they've set everything they've come up with in motion? Can they keep themselves and each other safe? The Territory: Truth is a gripping finale of a fantastic series. Noa's heart has been broken plenty of times, but she always finds a way to keep going. She's strong, brave and clever and she doesn't give up. She's grieving and the same goes for Jack and Raf. They've seen and done things they will never be able to forget. They aren't safe anywhere, they are being hunted and haunted. The only way out of their dire situation is going back into the Territory and fight against their government. They do this in an amazing clever way. I couldn't turn the pages quickly enough to find out if they'd eventually be safe. Sarah Govett constantly kept me on the edge of my seat. Sarah Govett writes about survival in a brilliant manner and I admire her world building skills. She manages to describe every single detail in a vivid and dynamic way. She constantly surprised me and I loved how she plays with suspense. She's always in control, while her story is filled with action and chaos, which is another thing I absolutely adored about The Territory: Truth. It's a gorgeous roller coaster of a story. Sarah Govett clearly understands the feelings of her main characters and she perfectly captures the connections between them. There's tension, but love always wins. I was incredibly curious to find out how the characters would feel after their abundance of ordeals and wasn't disappointed, the finale is thrilling and terrific. Sarah Govett has written a stunning trilogy that I highly recommend. 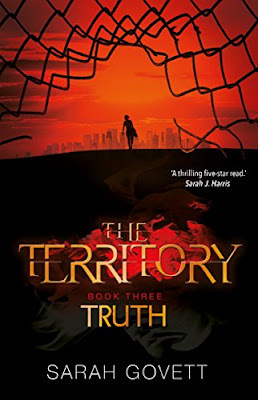 If you love dystopia The Territory is a trilogy you don't want to miss. I'd advise you to read the books in their correct order. 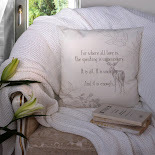 Hello, I’m Sarah Govett, author of the YA trilogy, The Territory. I grew up in Richmond-upon-Thames and read Law at Oxford University. 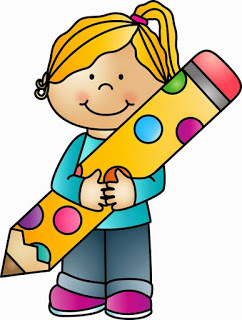 After qualifying as a solicitor, I quit the law (with a huge sigh of relief) and pursued my passion for working with children and helping them prepare for and survive exams, setting up my own tutoring agency in the process. I’d always loved books, particularly ones with a sci-fi element, but at this point had never imagined I’d be writing rather than just reading them. It all changed with the birth of my first daughter. Ideas and fears based around global warming and the inequality I’d witnessed through my work in education began to solidify and take shape. I’d already decided that I’d take 6 months off work so this was my chance. While my baby slept, I typed and so The Territory was born. I didn’t know if it was going to go anywhere so I named the main character, Noa, after my daughter, so at least she’d have someone of the same name to read about when she grew up. To my immense good fortune, The Territory was picked up by the Welsh publishing house, Firefly and launched in May 2015 followed by The Territory: Escape in October 2016. The final instalment of the trilogy, The Territory: Truth, is out on 29th March 2018. Since the initial release of The Territory, I’ve been lucky to meet so many lovely and extraordinary teens, English teachers, librarians, booksellers and fellow authors at my speaking engagements across the country. There have been so many highlights – teenagers in Gateshead voting it their favourite read of 2016, The Guardian’s website describing it as The 1984 of our time. However, I don’t think anything will top being told by a teen in Cardiff that every time they sit a test at school, he and his friends work out whether or not their results meant they’d get to stay in the Territory or be banished to the Wetlands. One very lucky reader of With Love for Books will receive a paperback copy of The Territory: Truth by Sarah Govett. Sounds great and intriguing. 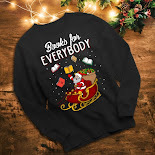 Will have to check out all the books. Thanks for sharing. Great review. 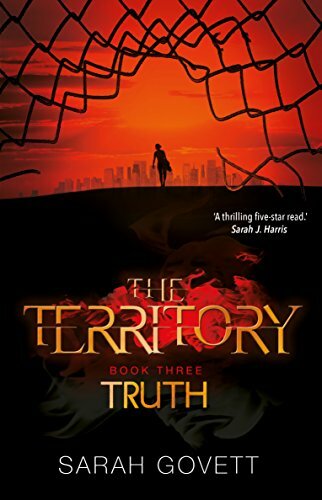 The Territory: Truth sounds both exciting and intense and a gripping conclusion to a fantastic trilogy. This sounds like a fantastic series, looking forward to reading this. I love reading the occassional YA book just for a lovely refreshing change, and this looks great! It sounds like an epic adventure! This story sounds very intriguing. Obviously I need to read the first two novels of this trilogy, sounds like a compelling read. I always love the advise. Would love to read it, thank you. 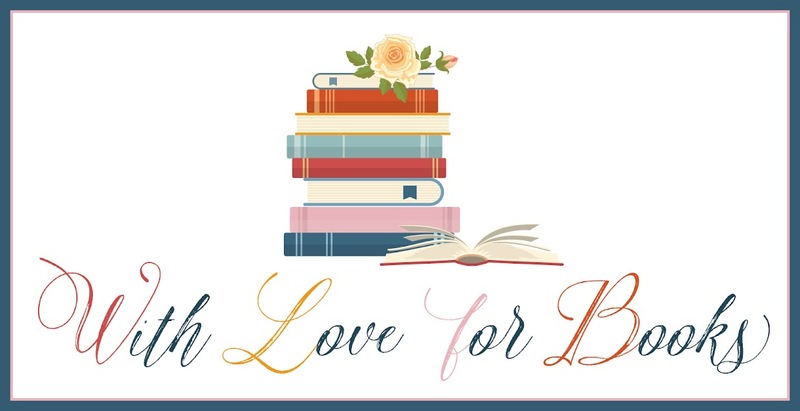 Sarah, I absolutely love that you are passionate about teens reading. So much is crammed into the curriculum these days that reading for pleasure is becoming endangered. We need more authors like you! Love the cover, it's very eye-catching and the book sounds really intriguing. Can't wait to read it. What a wonderful compliment that youngster gave you! You couldn't ask for higher praise than that!